These list of job sites in Ethiopia will make it possible for you to get jobs quickly in Ethiopia. Ethiopia is the second most populous country in Africa and also one of the poorest in Africa. Thus making the search for jobs more difficult. 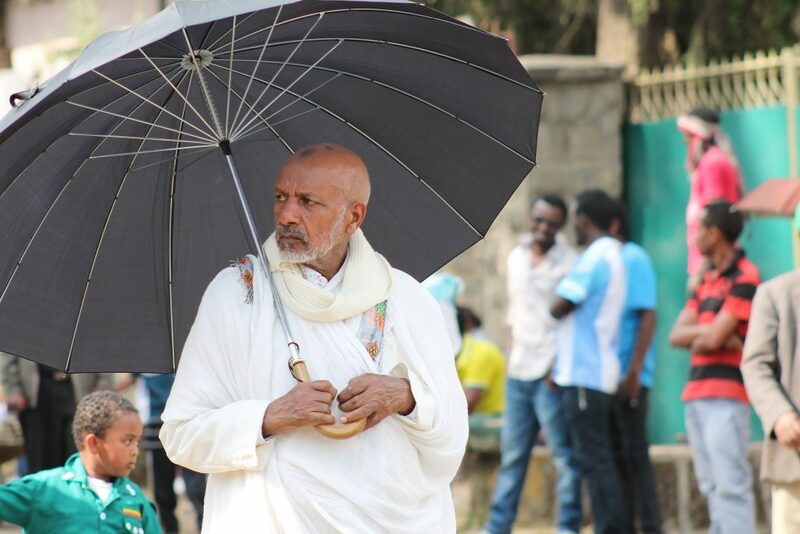 People struggle each passing day just to get a good job in Ethiopia but what they could get is petty jobs whose income could not sustain them and their families. Job searching can be a difficult task when you don’t know the right path to follow. These online job websites have really helped thousands of people in Africa and the world at large. Why not try it today and forget the old boring methods of getting jobs. Without much more to say here is the list of job sites in Ethiopia in details. 1.25 What is Ethiopia’s Unemployment rate? 1.26 What is Ethiopia’s inflation rate? 1. Ethiojobs.net It is the best place for employees/candidates to search for jobs in Ethiopia. 3. Employ Ethiopia Post and browse for jobs in Ethiopia free of charge. 4. JobWeb Ethiopia JobWeb offers employment opportunities to all job seekers in Ethiopia. 5. Mjobs They send their jobs offers directly to the registered mobile numbers of their applicants. Making the process of job searching easy. 7. Nilejobs.com Browse among the job vacancies here. 9. ETCareers.com Offers jobs and allows job seekers to sign in for job alerts. 10. Qefira.com It offers jobs and you can also buy and sell here too. 12 LinkedIn one of the best site to look for jobs in Ethiopia. 13 Glassdoor Get jobs here with companies ratings and salaries. 14 Indeed Indeed Ethiopia allows you to get jobs in all categories. 15 Impactpool Are you interested to work for international organizations? impcatpool should be the first place for you to begin your search. 16. Guavabean Offers freelance jobs to all freelancers in Ethiopia. 17. Naukri.com Explore Ethiopian jobs on this site. Find hundreds of jobs vacancies available on this site. 18. Jobnet Africa The right job site to go to when searching for expat jobs in Africa. 19. Engineering.com This portal offers the best engineering jobs in Ethiopia. 20. Dereja A job board for students and fresh graduates in Ethiopia. Ethiopia.net is an organized job portal with more than one million job seekers and about five hundred or more employers. Browse jobs by category and by location. They offer career courses and also gives career advice. It is the first Job website in Ethiopia. Esework is an Ethiopian freelancing and career portal platform which enables job seekers to find jobs and employers hire the best professionals. Freelancers can also work on projects and make extra money on this site. Employ Ethiopia as the name implies really helps Ethiopian job seekers to get employed. They offer a free recruitment platform to all employers and employees. Because of its attractive job content and information, more than 120,000 visitors visit the site daily. This is a recruiting job portal with job and scholarship listing. Their services include; job advertisement, a fresh database for freshly uploaded graduate CV, CV writing training skills and cover letters. Browse jobs by category, location, salary, job type and by date posted. Mobile jobs Ethiopia is an online mobile alert platform that offers the latest job offers in Ethiopia. They send their jobs directly to the registered mobile numbers of their applicants. Job seekers search for jobs by registering online for the first time and then receive job alerts via SMS. Provides job listing every week with different filter options, statistics, and email alert options. Ezega.com was founded to provide the Ethiopian community with various online tools for business, entertainment, and social networking. You can create your resume to apply online to get jobs. Nilejobs is another job portal for Ethiopian job seekers with Jobs, internships and scholarship information. About 40 to 50 job vacancies are posted on this site daily. This job portal provides full-time employment, part-time employment, internship, freelance, contract and temporary employment to all job seekers. It provides jobs by categories and very easy to access. Job seekers can browse jobs by category, salary, job type and by date posted. This portal offers jobs and allows job seekers to sign in for job alerts. It has made job searching easier for all job seekers. Register now and get the jobs that best suit your profile. Qefira offers job opportunities for job seekers. It is a portal where employees seeking jobs get the best job offers. With Qefira, you can also buy and sell goods. Ngo jobs in Africa is one of the largest job sites in Africa that focuses on non-government job opportunities. They provide the best jobs in the NGO sector for job seekers in Ethiopia. For your quality jobs in big companies in Ethiopia try LinkedIn and see more job offers in any sector of your choice. With LinkedIn, you have the opportunity to learn more and meet personalities that will help you in your career. Search for construction jobs, engineering jobs, teaching jobs, English speaking jobs and more on Glassdoor Ethiopia. Search for jobs with companies ratings and salaries. Get the best job offers on Glassdoor.com. Get jobs on indeed.com that suits your profile. About a hundred jobs are available on this site for Ethiopian job seekers. Impactpool helps highly motivated individuals to grow in their career. They match you with jobs that best fit your profile and level experience. You can also receive advice from their experts that will make an impact on your career. Get the best international best job offers here. Guavabean is a recruitment portal that provides jobs for these professionals: web developers, digital nomads, writers, website developers, designers, bloggers, etc. It is a portal that provides job opportunities for creative thinkers. The best freelance job portal in Ethiopia. Naukri.com is an Indian job portal which has jobs available for the Ethiopian people. Explore Ethiopian jobs on this site. Find hundreds of jobs vacancies available on this site. Jobnet Africa is a job portal in Africa that offers expat jobs to all professionals who wants to in Africa. Their main purpose is to connect employers and employees thereby creating careers in Africa. They offer online and offline services to all employers and job seekers. For your engineering jobs in Ethiopia, this site provides with the best engineering job offers. They have thousands of engineering jobs available for job seekers in Ethiopia. Are you an engineer then apply now to get the best engineering jobs. This is the first job portal in Ethiopia for students and fresh graduates. Find jobs in different categories. They offer training and courses to all job seekers that are willing to make a drastic change in their career. They also give career advice. What is Ethiopia’s Unemployment rate? Well according to analysts, the unemployment rate before the middle of 2019 should be at 15:00 percent and 14:00 percent before the year 2020 according to the Trading econometric model. What is Ethiopia’s inflation rate? Statistics show that the annual inflation rate fell from 10.4% in December 2018 from 10.6% compared to the previous months. The inflation rate this 2019 is amounted to be 9.46%. It is projected to be 8% by 2022. With all confidence, these Job sites in Ethiopia draws you closer to your desired jobs. By using these job sites in Ethiopia, you can search for jobs in all regions or cities in Ethiopia without stress. Apply or upload a CV to get started and get a job that is suitable for you.